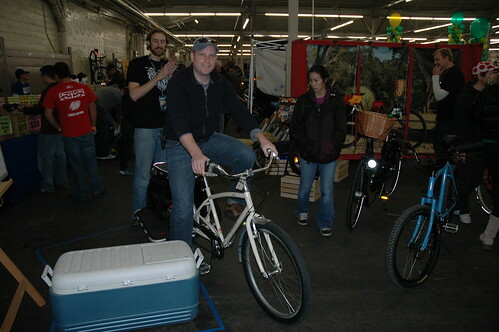 This is Gregg checking out the Radish at the SF Bike Expo. 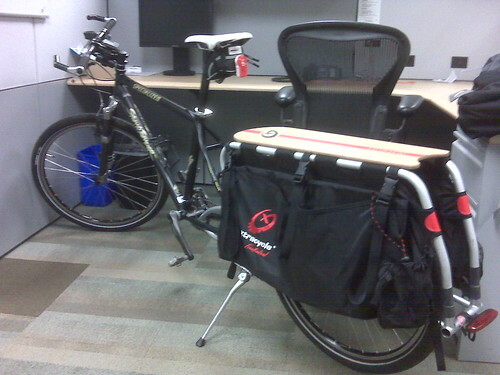 Gregg is a co-worker, good friend and rabid cyclist who has finally succumbed to Xtracycle fever. Here is the two step processs. Sad to say but the I.F. was too tired and flexy for the X. 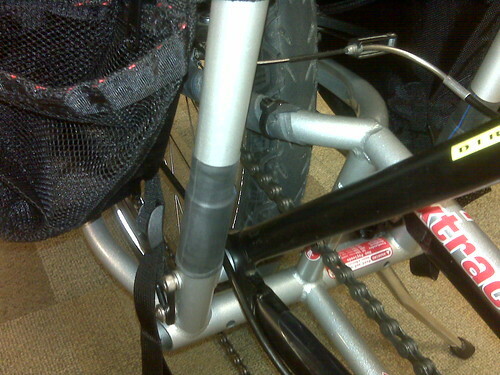 What you see here is version 2.0; a NOS 1996 stumpy. 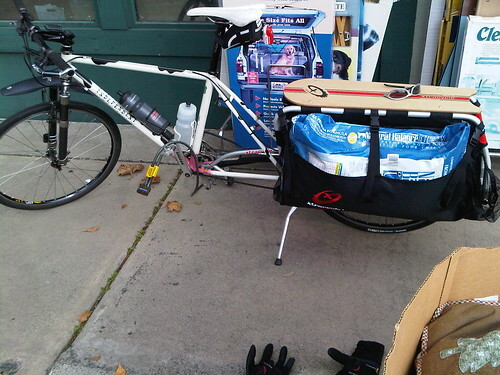 MUCH better with nearly no flex.